Today Little Man rediscovered I Hear Ewe, an iPhone and iPad app that I downloaded a few months back. This is a great little app. It features lovely drawings of animals. When you tap one of the pictures, such as the cow, the voiceover says “This is the sound a cow makes…” And then it plays a lifelike sound of a cow mooing. When he’s played with it before, Little Man didn’t really understand that you should just press one picture at a time. But today, he totally got it. He was delighted with himself as he pressed each picture and listened to the animal sound. He was shaking with laughter for the real life sound effects. So cute! Listen to a car, a bike, a plane! 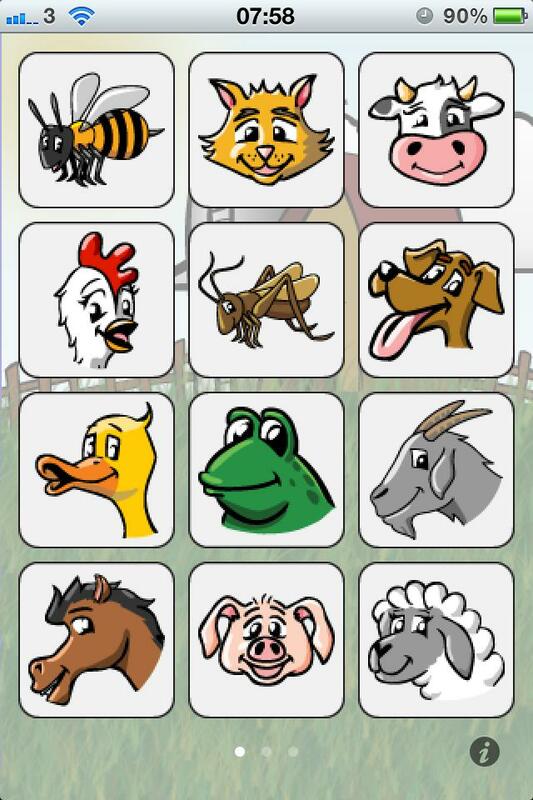 The first two screens on this app feature animals – domestic and wild. 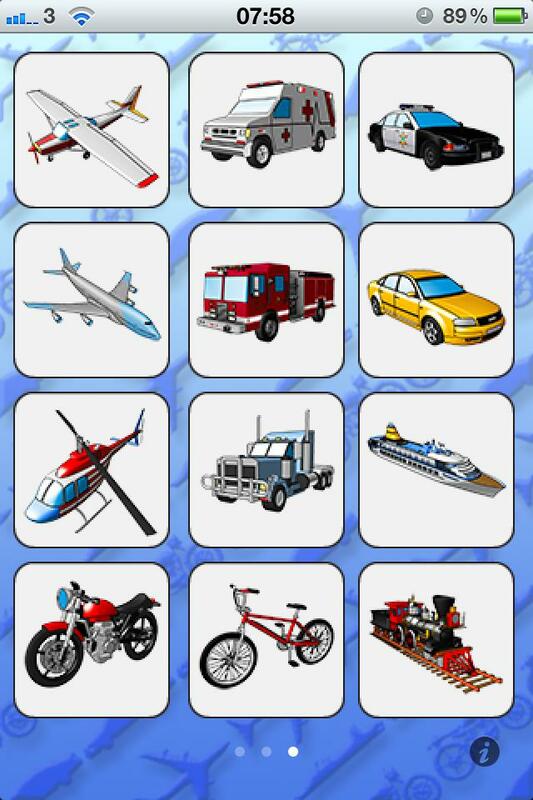 The third screen features different types of transport – boats, planes, cars, trucks. 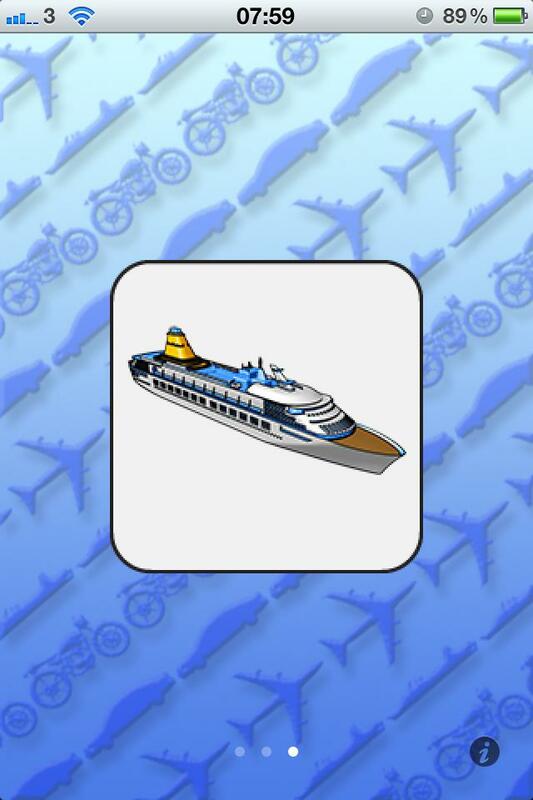 This screen is a real hit too – especially the ship horn!